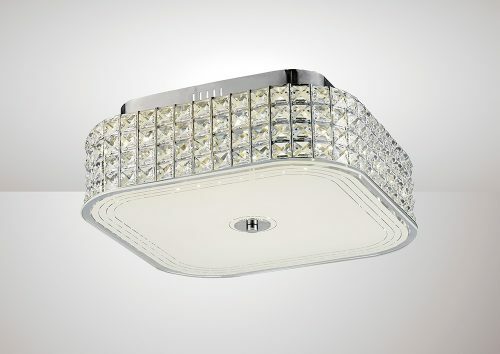 Hawthorne is a perfect example of what Diyas lighting has to offer. Modern technology combined with style, quality and unique designs. Available in round or square shapes, Hawthorne is suitable for low ceilings and low maintenance. Square crystals cover the surround but do not over decorate the light, while the glass diffuser helps create a more subtle downlighter. The LED technology increases its efficiency.